A man is under arrest after attempting to set fire to a police station in South Jersey. GALLOWAY TOWNSHIP -- Authorities say a man has been arrested in the attempted arson of a police station in New Jersey. Police say Sean Shearer is accused of being the man who approached the front lobby of the Galloway Township police department on Dec. 12, tried to light a glass bottle containing a petroleum-based accelerant and threw it onto the concrete in front of the entrance doors before fleeing. Police said the bottle shattered, splashing the accelerant all over the doors, floor mats and lobby entrance, but didn't ignite. If it had, police say, an officer and a citizen in the lobby could have been put in life-threatening danger. 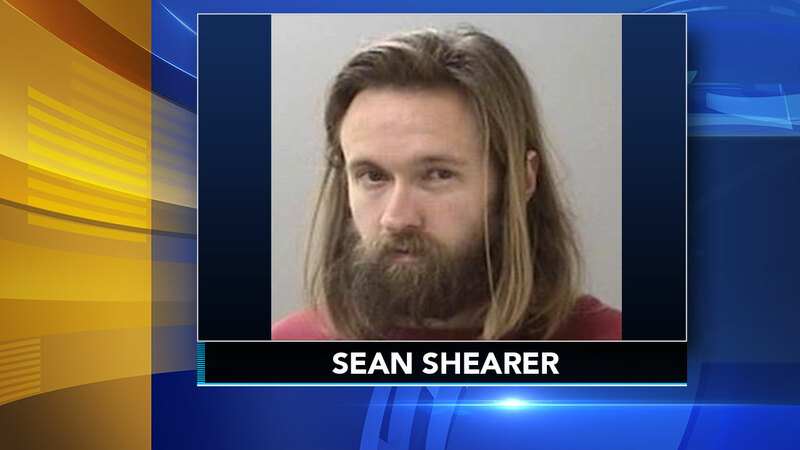 Shearer was charged with aggravated attempted arson and criminal mischief and taken to Atlantic County justice facility. It's unclear whether he has an attorney.